Major Fundraising Event - 16th May - Tickets on sale now! Visit our "Take A Seat" Exhibition during the month of May to view a stunning range of transformed 'vintage chairs'. Local artists have contributed transformed chairs as well as a range of artworks for this creative, fundraiser event (Lib Stewards 'Green Chair' features in our poster). The exhibition opens on the 6th May, where a silent auction will begin the process and set the reserve price for these unique works of art. 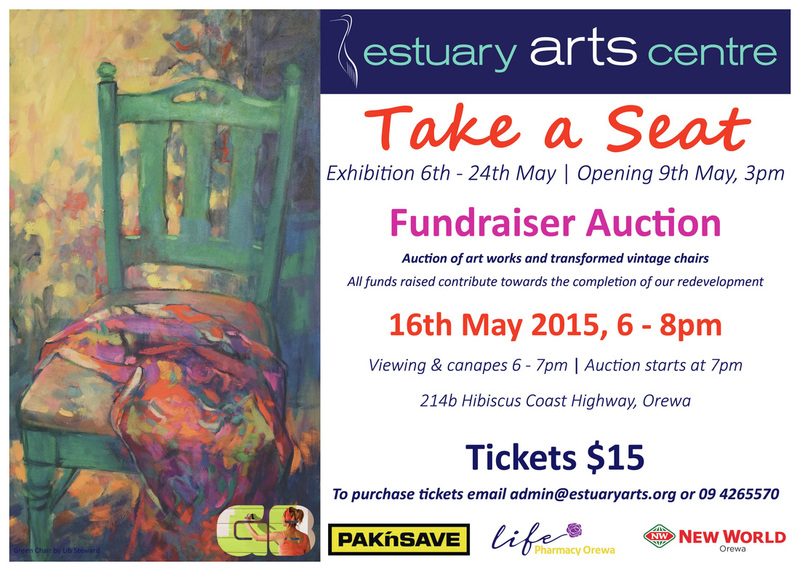 Our 'Take A Seat' Auction event will be held on Saturday 16th May. All funds raised at this event will go towards the fit-out of our new education wing. Please join us for an evening of music, food, raffles, fun and entertainment! Tickets $15 each. 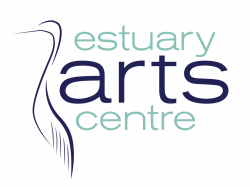 Contact admin@estuaryarts.org or phone 09 4265570 to reserve your tickets!